Product code: MM0452 Categories: Accessories, Accessories, Ladies, Mens. 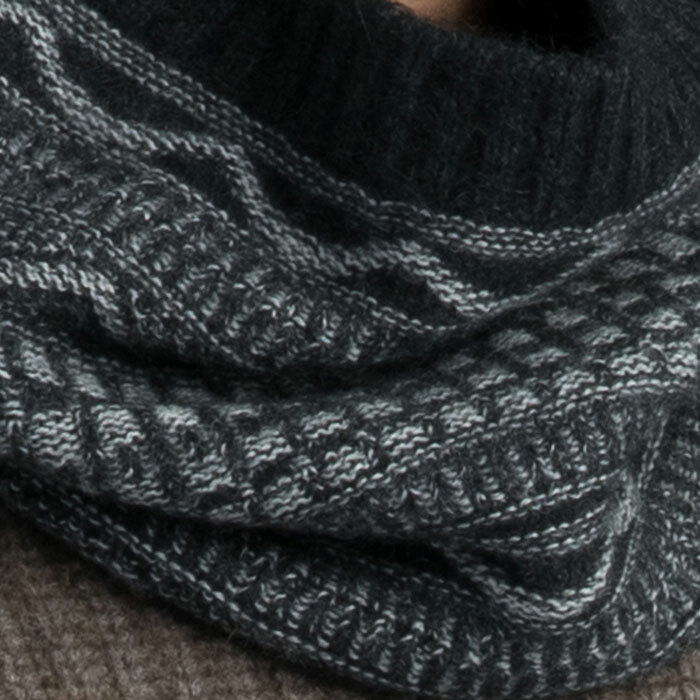 For men and ladies, this stylish peak snood features their heritage mountain pattern knit. 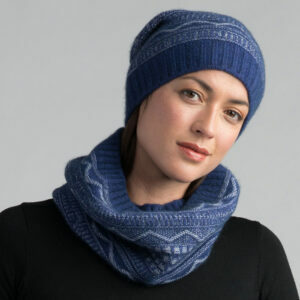 Also available are matching Beanies and Wristwarmers. 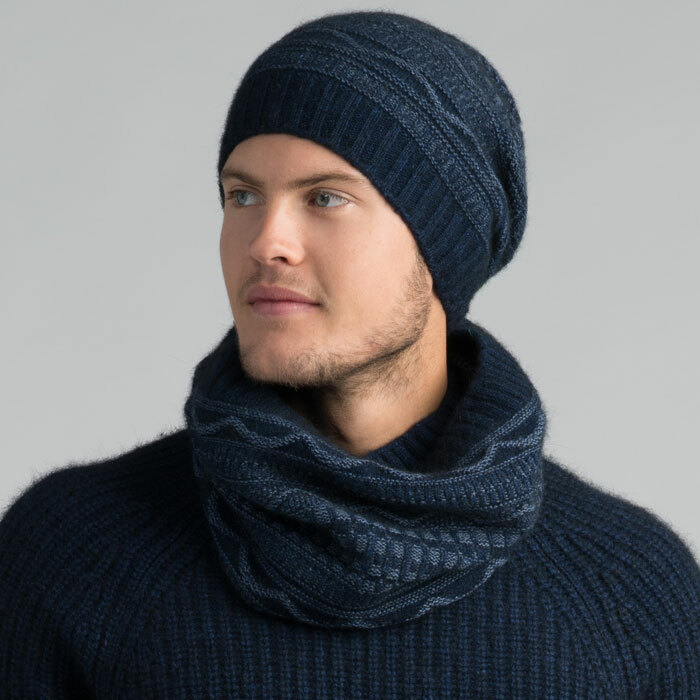 From Merino Mink in New Zealand, this stylish peak snood features their heritage mountain pattern knit. 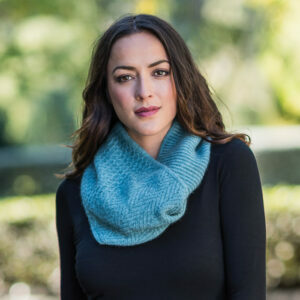 Irresistibly warm, this snood is made from a luxurious blend of possum fur, merino wool and silk. 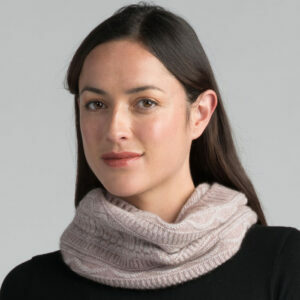 An easy to wear endless scarf which is suitable for both ladies and men and due to the blend of luxury fibres, is resistant to pilling and is hardwearing as well as very warm. Available in four colours, Wistful/Silver, Zephyr/Shale, Duke/Silver and Graphite/Silver. One size fits all. 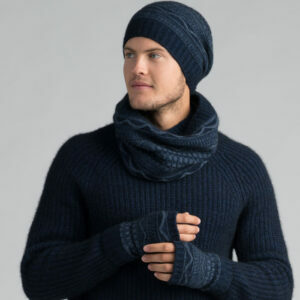 Also available are matching Beanies and Wristwarmers. Wistful, Zephyr, Duke & Graphite. 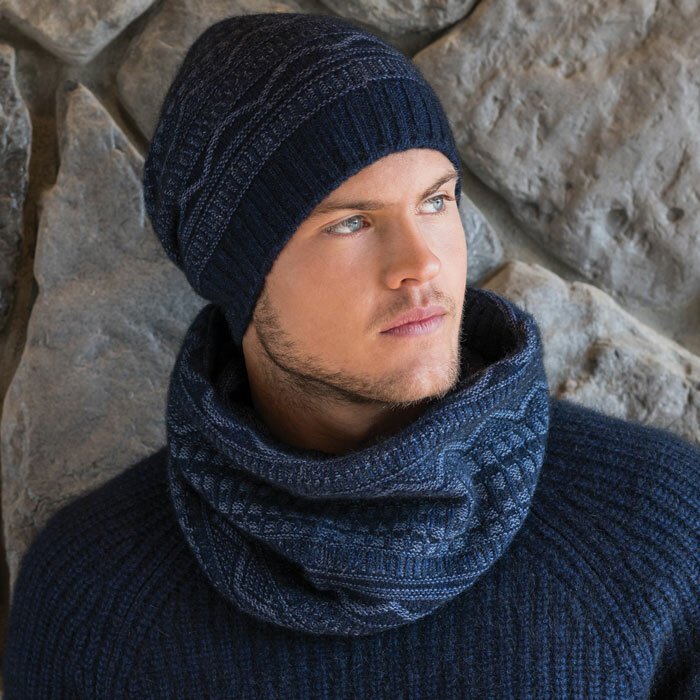 Merinomink™ Garments are a blend of fine Merino and luxurious Possum Fur. They are 100% natural fibres and should be handwashed to help maintain their superb natural loft and warmth. While Merinomink™ garments require less washing because they resist odour (making it easier on you and the environment) we do recommend washing your Merinomink™ garments on a regular basis to help keep them at their best. Merinomink™ garments are manufactured to a very high colour fastness to minimise the risk of colour bleeding or fading, however it is recommended dark or brightly coloured garments are never washed with pale shades or whites. Proper care will give you a garment that will look good for years to come. Please don't hesitate to contact us if there is any concern Step 1. Turn your garment inside out - this will help protect the garment's outer surface, and help maintain its new look longer. Step 2. Gently handwash in cold water. Step 3. Rinse throughly to remove all detergent. Free UK Delivery: Free delivery for orders over £100. Please note that the majority of parcels will be sent by Royal Mail using a Signed For service so please make sure you will be available to receive the parcel or arrange for an alternate delivery address to be used. 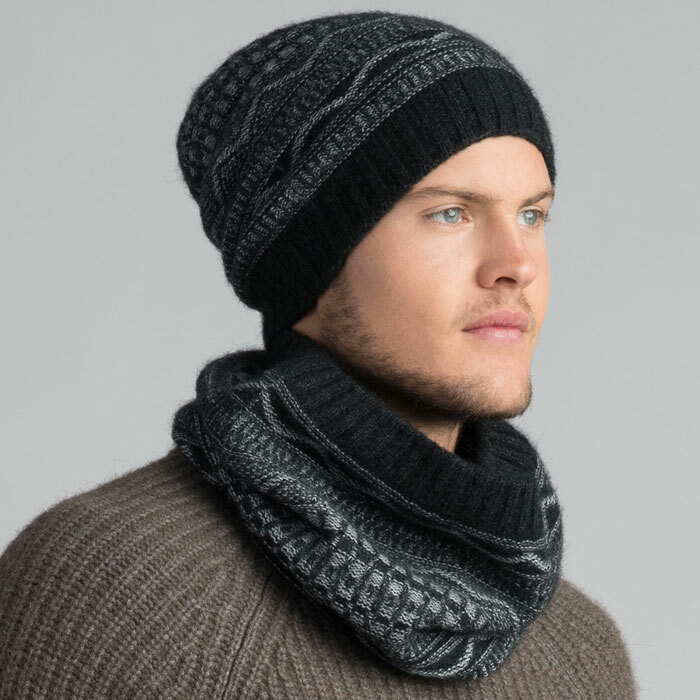 This versatile Beanie Hat is suitable for both men and ladies and is available in Wistful, Zephyr, Graphite and Duke. 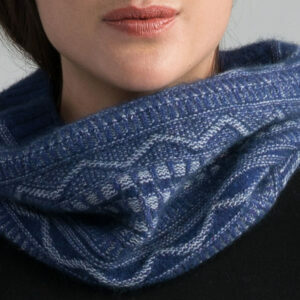 Also available are matching Snoods and Wristwarmers. 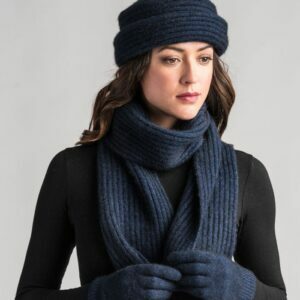 These peak wristwarmers are a stylish way to keep your hands warm. Also available are matching Beanies and Snoods. 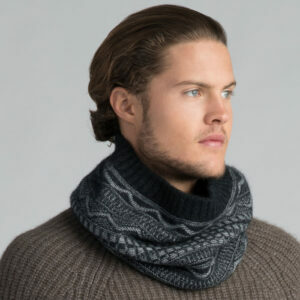 For ladies and gentleman, this timeless possum merino ribbed scarf is available in an array of colours. 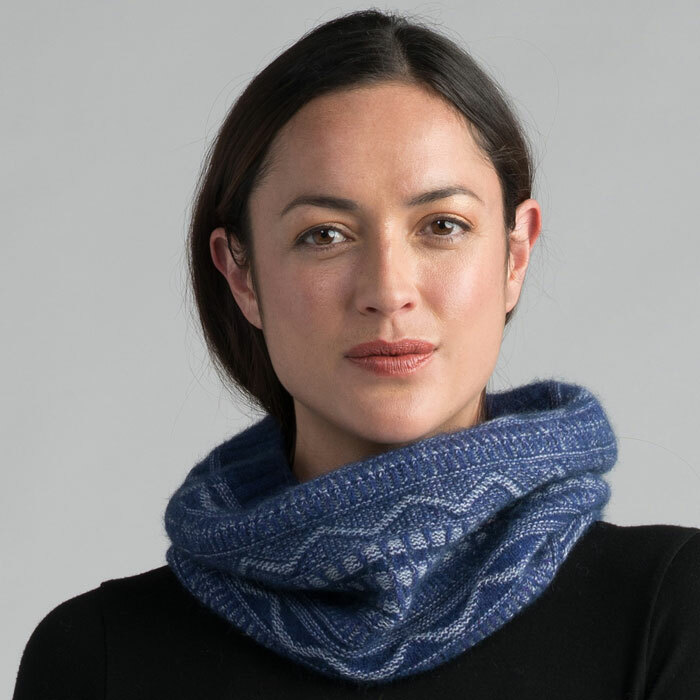 This loop scarf is beautifully designed with four different segments in the same colour with textures including ribbed, herringbone, honeycomb and end on end. Available in an array of colours. From New Zealand, Brent and Heather Woon established Possum Merino in 2010, after discovering its unique properties. 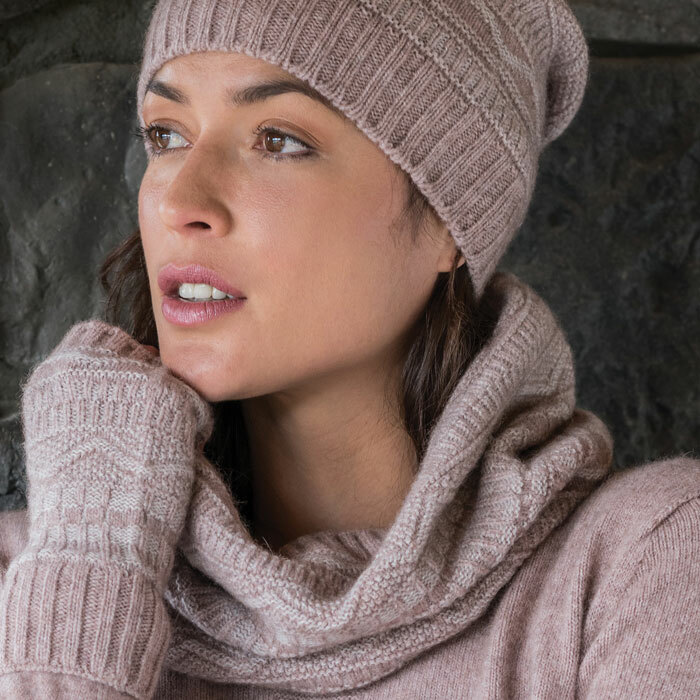 Now with one of the largest collections in the UK, Possum Merino are the exclusive UK stockists for Merino Mink and Untouched World, also stocking Native World and McDonalds.